As virtualization becomes the new normal, every aspect of IT is changing. Traditional shared storage, designed 20 years ago, is poorly designed to handle the new workloads that cloud architectures and virtualization impose, causing increased storage costs and unnecessary complexity. Tintri application-aware storage is powered by an operating system (OS) specifically designed for virtualization and cloud. Tintri can eliminate the cost, performance and complexity challenges of traditional shared-storage systems in virtualized and cloud environments. The Tintri OS is the industry's first and only hypervisor-agnostic application-aware storage OS. It was purpose-built for flash and virtualization and designed to manage storage for VMs and vDisks directly; there are no LUNs, volumes or other storage objects to manage. All of the tools associated with managing LUNS and volumes become irrelevant. Both VM and storage admins get immediate insight into the performance of applications running in their virtual environments. 99 percent of IO from flash for thousands of VMs on a single appliance. The Tintri OS provides performance isolation for each VM's working set by prioritizing the active data, and does all monitoring and management at the VM and vDisk level. Since Tintri OS uses VM abstractions internally, the Tintri file system can monitor and control IO for each vDisk to provide performance isolation and QoS at a VM and vDisk level. Tintri file system maps each IO request—read, write and metadata operation—directly to a virtual disk. These operations allow the Tintri OS to automatically perform VM alignment and provide performance gains from 10 percent to 30 percent versus traditional storage management techniques. Tintri gives each VM its own IO "lane" so applications receive the best performance right out of the box, even with mixed server, desktop and cloud workloads. In addition, Tintri OS provides complete control over the Quality of Service (QoS) at a VM-level, independent of capacity. It eliminates the guesswork in traditional QoS design & delivery with visualization of performance resources and contention at a VM-level. Enabling performance guarantee and throttling is as simple as drag and drop to set min and max IOPs. Tintri user interface also provides fast feedback and detailed visibility at a VM level after the QoS settings are applied. Tintri QoS settings could also be applied via REST API and PowerShell scripts. Tintri OS provides per-VM data protection with space-efficient snapshots with no performance impact. Default snapshot schedules protect every VM automatically; custom schedules allow users to meet specific data protection needs. Tintri OS uses space-efficient clones at VM level so clones are immediately visible to the hypervisor management console. Advanced cloning can create hundreds of clones to support VDI, instant provisioning and test and development environments. SyncVM accelerates application development with efficient copy data management between production and development environments at a VM-level in minutes regardless of the VM size. SyncVM, also allows an IT operator to time-travel across snapshots and instantly restore VMs without the loss of any snapshots. VMstore appliances running Tintri OS can be set up in minutes. Tintri OS includes non-intrusive data collection capabilities for automated and user-initiated notification of complete system status to Tintri support, enabling proactive support and service without administrator intervention, simplifying ongoing management. Tintri OS integrates flash as a first-class storage medium rather than as bolt-on cache. Tintri's unique working-set analysis intelligently assigns flash where it provides the most benefit — to VMs that need it. 99% of all IO comes from flash, enabling all-flash performance with superior economics. Technologies like inline deduplication, compression, garbage collection and hardware monitoring of flash drives maximize the performance and durability of flash. Each VMstore appliance accommodates up to 3,500 VMs (with the VMstore T880 model) and appears as a single datastore in your virtualization management system, making it easy to scale and manage each node as part of directly from the hypervisor consoles. Tintri OS replication enables disaster recovery at a VM level. With ReplicateVM™ software*, enabling replication for a VM is as simple as checking a box. Restoring from replicated copies takes just a few mouse clicks and is as easy as restoring from a local copy. ReplicateVM allows RPOs as low as 1 minute and natively integrates with VMware Site Recovery Manager (SRM), bringing in the simplicity and efficiency of Tintri per-VM replication to SRM. Tintri's Storage Replication Adapter (SRA) enables administrators to setup and execute recovery plans in minutes, automate workflows such as site failover, planned migrations and failback as well as perform DR testing in an isolated infrastructure without disrupting the production infrastructure. Tintri OS per-VM replication only replicates incremental block-level changes between VM snapshots after dedupe and compression, providing up to 95 percent reduction in WAN utilization. Multiple systems replicating to a single system provide additional WAN efficiency because of global deduplication. Leveraging per-VM cloning and per-VM replication, Tintri OS enables administrators to create fully functional clone VMs on-demand on remote VMstore systems. Remote-clone VM provisioning is bandwidth efficient and reduces resource consumption on hosts. Ability to efficiently create VMs on any datastore increases VM agility and significantly simplifies managing large-scale virtual environments. With the optional SecureVM™ software*, administrators can encrypt data-at-rest on Tintri VMstore T800 and T600 series systems with AES256 encryption. On demand encryption key rotation available via the GUI allows customers to meet their security policies to deal with adverse conditions. Double Drive-Failure Protection and Real-Time Correction and Continuous Verification RAID 6 on SSD and HDD provide continuous system operation even when two drives fail simultaneously, with minimal impact on application performance. Tintri OS RAID 6 software detects and self-heals errors in real-time on every read from disk. Ongoing background processes periodically verify data to ensure integrity. Support for multiple hypervisors allows customers to extend the benefits of Tintri smart storage to all of their virtualization environments and is a key requirement for moving to private cloud use cases. Tintri VMstores support VMware vSphere, Microsoft Hyper-V and Red Hat Enterprise Virtualization. VMs from multiple hypervisors running different workloads can be concurrently hosted on a Tintri VMstore for maximizing investment. Basic support is also available for Red Hat Enterprise Linux OpenStack Platform 6. Tintri Automation Toolkit allows end-to-end automation from the VM directly to storage through both PowerShell and REST interfaces. For the first time, administrators can leverage the power of the VM-level awareness of Tintri smart storage to automate various workflows for deploying and managing virtualization and cloud environments without the need for or knowledge of the esoteric configuration of underlying storage artifacts. Virtual infrastructure and storage speak the same language – VMs – for management and monitoring. Role-based access control and integration with Microsoft Active Directory or LDAP directory services provide simple and powerful access control and authentication for a Tintri VMstore on a per user basis. Performance bottleneck troubleshooting is a tedious management task. It is difficult to pinpoint where in the infrastructure—host, network, storage or something else—the problem lies. With Tintri OS, administrators have instant visibility, from the guest OS layer to the storage layer. They can see per-VM or per-vDisk latency in real-time at any infrastructure layer, identify the source of performance issues and take immediate action. Tintri OS also maintains historical data to give a graphical view of performance trends. 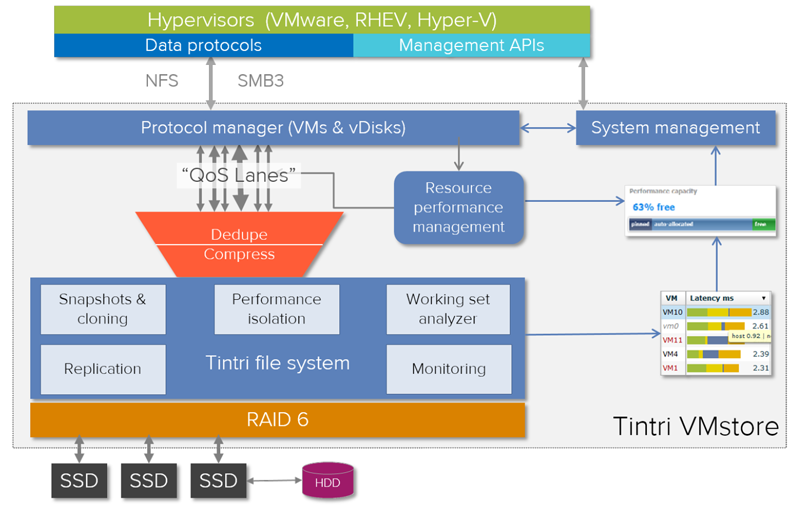 Figure 1: Architectural diagram of Tintri Operating System. 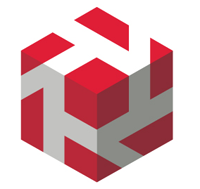 Download the Tintri Operating System Datasheet (PDF).